Why do we perform Selfless actions? What drives Selfless Acts? Selfless actions and thoughts give us a real sense of satisfaction and abiding happiness. We ​can make​ ​the​ ​world​ ​a​ ​better​ ​place​ ​and​ become ​a​ ​better​ ​person. Serving​ ​others​ ​is​ ​an​ ​act​ ​of self gratification. The Power of Selflessness can Transform our Lives. Selflessness is its own reward. There is a saying that goes "If the right hand does something good, the left hand shouldn't know about it". Here at My Selfless Act – we disagree! In today's world we are facing seemingly insurmountable challenges - from chronic poverty to environmental problems to political turmoil – and these huge issues can sometimes make us feel powerless. But this is not true! Each and every person has the capacity to influence the world around them in a positive way. Whether through small, mundane acts like buying a stranger a cup of coffee, or large, intensive acts like starting a nonprofit organization, our actions can make powerful waves. However, lots of these actions are isolated and disconnected from large networks of supportive people because they aren't being shared. Consider that person who bought the stranger a cup of coffee: that stranger probably had an unexpectedly good day because the stranger was the recipient of a random selfless act. What's more, the do-gooder likely felt great for putting a smile on the stranger's face. But what if that do-gooder also shared this act with their social network? How many more cups of coffee would be given to strangers that day? We don't even know the ripple that would be caused – but My Selfless Act believes in creating these ripples. We are more and more socially connected through online interaction and My Selfless Act believes that we should be sharing our positive actions with each other as inspiration for a better world. By encouraging the right hand to share with the left hand, we believe that the left hands of the world will get involved as well! After all, small acts when multiplied by millions of people can transform the world! My Selfless Act provides a platform to share your selfless actions and to be inspired to inspire others. This is the place for everyone who is committed to bring a social change in the spirit of caring for our fellow living beings. The place where every social change enthusiast whether an individual, non-profit, for-profit or a government organization can share and post their ideas and/or activities impacting lives for a better tomorrow. The world is a better place when everyone takes care of their fellow women, men and children. But it is even better when people with the same vision come together to share their ideas and work which could inspire and motivate millions. Think of different areas of social change: underfunded schools & education, poverty & homelessness, women empowerment, environment, animal welfare, domestic violence, substance abuse, disaster preparedness... the list goes on. Individuals or organizations working in each of these areas are constantly trying to spread their words for cultivating awareness as well as attracting prospective volunteers, supporters and donors. One of the most efficient way of spreading awareness is through social media. Unfortunately, the social work is a small segment of a very broad social media sites which dilutes the efforts of reaching out to the right audience. Sharing your work and activities on My Selfless Act helps you to connect with volunteers, supporters, donors, employees, organizations etc. Each community has a pool of social creative makers with innovative ideas to bring solutions for their community's existing problems. Without the right support, network and funding, many of these solutions can never reach the surface. My Selfless Act identifies the potential in every innovative idea and its positive impact on the community by allowing the innovative thinkers to share their ideas with friends, social activists, funders, non-profits and social entrepreneurs. We can inspire and motivate each other by sharing selfless actions with the world. To serve as a platform for people to share their selfless work which can inspire and motivate millions to get involved to create a better world. A world where every individual is involved in selfless acts and through collective action, we create a happier, healthier world. 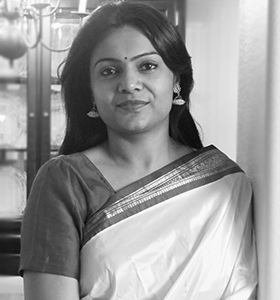 Trupti Gor is a software developer and businesswoman. She has many years of experience volunteering and working with non-profits, NGOs, and other organizations working for a better world. After volunteering in many different non-profit organizations, she partnered up with few friends and runs a non-profit which mainly supports education of underprivileged kids in Ahmedabad, India. Her volunteering experience not only helped families in her community, but Trupti also experienced the transformative power that volunteering can have on ones life. So, she was inspired to develop My Selfless Act. Trupti built this platform to encourage volunteering across the world. She says, "I volunteer because I feel it is part of being a human being. When I volunteer I can spend quality time away from my work and busy lifestyle with people in need. The feeling that I can shape someone's life for the better is unexplainable. It is an emotionally uplifting experience that can never be matched by money or fame. So I implore everyone to find a cause and volunteer. Because not only will you be helping others, you will be helping yourself as well. After all we all win when we volunteer. Life has so much to offer if we remember to look beyond ourselves."